Tips To Get Rid Of BLACKHEADS In Just One Night!!!!!!!!!!!!!!! Blackheads/whiteheads is a type of skin problem and everyone want to get rid of this soon. Blackheads are pimples without skin. Because there’s no skin, and they’re exposed to the air, the top layer of gunk in your pores oxidizes and turns that darkish black color.To get rid of this you have to do nothing special, just clean your pores. Mash tomato, apply its juice on your face. Concentrate on area having blackheads. Let it stay there for overnight. Tomato will dry blackheads and they will fall naturally. Apply lemon juice on blackheads for overnight, next morning you will feel that your blackheads are lessened. To make it more effective add salt. Salt and the natural acid capability of the lemon, make a perfect combination in drying up blackheads. Lemon has also bleaching properties that make the skin glow. 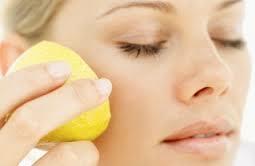 Lemon is very acidic in nature and it can dry your skin, so if you have dry skin do not apply lemon directly.Squeeze small amount of lemon juice to brown or white sugar until it forms a thick mixture.You may use this combination to scrub the nose and the face when removing blackheads. The sugar balances the acid in lemon, while the lemon juice lessens the roughness in sugar. 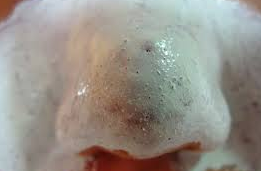 Very effective to remove blackheads.Beat an egg white along with some Epsom salt and apply on the affected areas. Utilize a clean wash cloth to gently wash it off. Wet the toothbrush and wet the affected area. Gently with your toothbrush, scrub the affected area for a small amount of time to get rid of blackheads. Toothpaste can help relieve the inflammation caused by blackheads also reduce the production of excess oil on the face. Next → Next post: Maybelline THE NUDES Pallete Review And Swatches……..